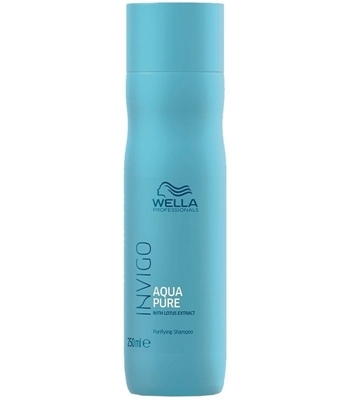 Wella Invigo Aqua Pure purifying shampoo is enriched with lotus extract that not only thoroughly cleanses the hair and scalp, but also fills it with an amazing smell and freshness. 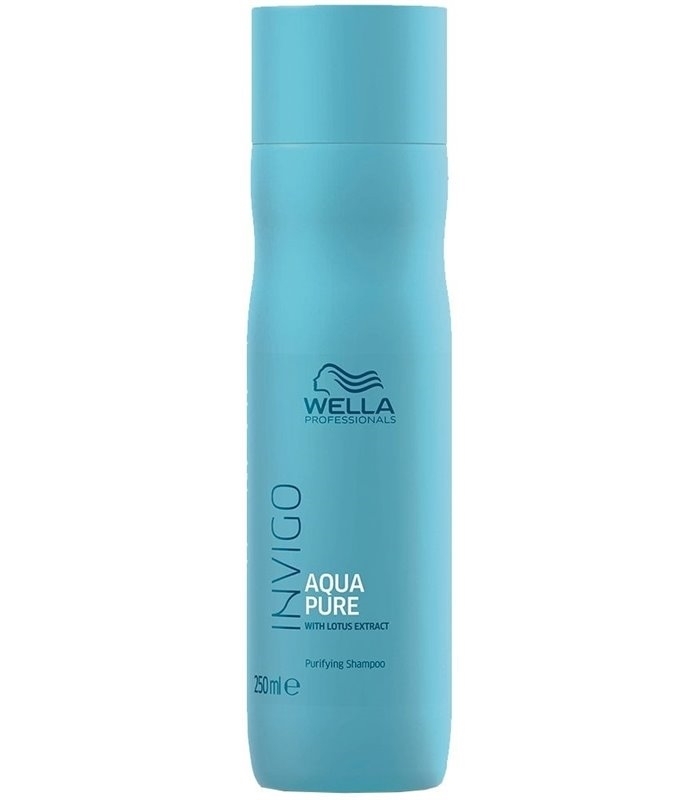 This shampoo thoroughly cleanses the hair from all the dirt and accumulated styling products. Formula contains Balance-Blend complex that takes care of general problems with scalp and hair. Application: Apply evenly onto damp hair and lather it up. Thoroughly rinse with water.